If there’s one trend that has made itself apparent this year, it’s color-blocking! 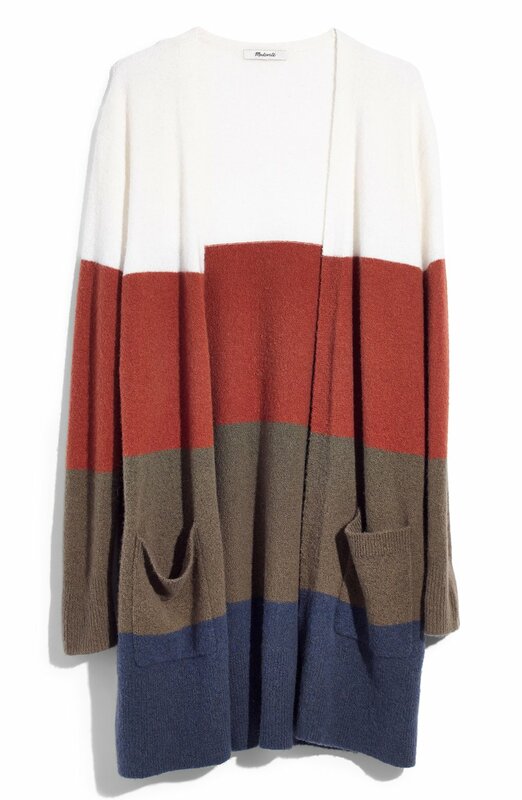 To define: Color blocking is when a piece of clothing features contrasting colors in bold blocks. Even though contrasting, the colors are still surprisingly complimentary when paired together. I first starting noticing the trend EVERYWHERE this summer. As it turns out, it has even carried over into fall. It makes me so happy to see some of my favorite brands creating these fun pieces. I’ll be honest, I used to stick to neutrals and thought wearing bright colors was a bit tacky. These statement pieces have really grown on me and now I just can’t get enough! What are your thoughts? Are you embracing the color-block trend?